Taj Mahal is one of the most amazing and historic monument in India and is located in Agra, which is a major travel destination in Uttar Pradesh. Taj Mahal is a white marble monuments that is located on the southern bank of Yamuna River and was constructed by the Mughal Emperor Shah Jahan on the memory of his wife Mumtaz Mahal. 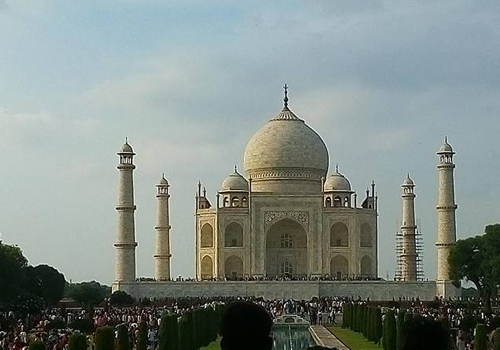 Mumtaz was Shah Jahan’s favorite among his three wives and her tomb is present inside the monument. The construction of Taj Mahal started in 1643 and was completed in the year 1953 with around 20,000 artisans working under the guidance of a board of architects led by Ustad Ahmad Lahauri. Taj Mahal is one of the prime examples of the Mughal Architecture in India and is also regarded as the “The jewel of Muslim art in India”. In 1983, Taj Mahal was declared as a UNESCO World Heritage Site which once again increased the number of visitors visiting this site. The monument is mainly made of white marbles, which makes it more appealing and unique to watch. Taj Mahal is one of the most popular travel attractions in north India and its mix of Persian and Mughal Architecture is one of the main reasons for attracting travelers from across the world. The monument is bordered on all the three sides by red sandstone walls and the fourth side is openly facing the river Yamuna. The main gateway of Taj Mahal is known as the “Darwaza” and it is also a monumental structure which is build of marble. There are also many other buildings and mausoleums inside the complex which adds more beauty to this monument. 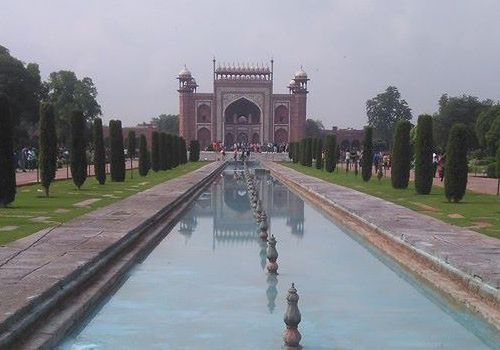 There is also a splendid Mughal garden which is marked for the trees and fountains. Recently Taj Mahal is under severe threat of environment pollution and the white marbles have started turning yellow and the Government of India has started taking preventive measures against this. Taj Mahal is one of the best place to visit for people from all age groups. It is also considered as one of the best honeymoon sightseeing attraction in north India and you can see a lot of young couples visiting this place and making sure to take a photo in front of this amazing monument in India. If you are visiting India or north India, then Taj Mahal should be there in your must to visit travel attractions in India. It you are planning to visit Taj Mahal, then the best time to do is during the months of October to March and after that the place will be under severe heat climatic conditions. Taj Mahal is hardly 4 kilometers away from Agra and there are a lot of public transport systems available that can help you in reaching Taj Mahal. Agra is also well connected to the other major cities by air, rail and road and hence it is easy for other travellers coming from other parts of India or outside India. There are a lot of budget, economy and luxury hotels in Agra, which will make it easy for you to find an accommodation during your trip to Taj Mahal. Most of the hotels are well equipped with all the major facilities and amenities for a better stay. 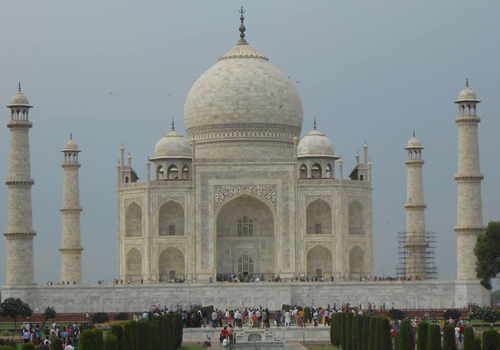 This entry was posted in Agra and tagged taj mahal agra, taj mahal india, taj mahal monument, taj mahal travel. Bookmark the permalink. Thanks for stopping to comment, Alok. Yes, you need to visit Taj Mahal atleast once in your lifetime..